Celebrate Halloween with Oklahoma State Cowgirl Basketball on Sunday, October 30th at Gallagher-Iba Arena! Bring your little goblins and ghouls for treats during the pre-game against SE Oklahoma State at 2pm. Admission is free to the public and doors open at 1pm. There will be a Halloween costume contest where the top three costumes will receive a prize pack from OSU Athletics. Open to any elementary age child, the Trick or Treat festivities at the Greek houses on Oklahoma State University campus will be in full motion on Halloween Night. From 5-7:30pm on Monday, October 31st families can make their way to each of the fraternity and sorority houses to request a treat. Bring your bags, buckets and sweet tooth! The American Airlines crew at the Stillwater Regional Airport will host a Halloween Open House Party on Monday, October 31st beginning at 6pm. They will have candy for the little ones and games for all to enjoy. 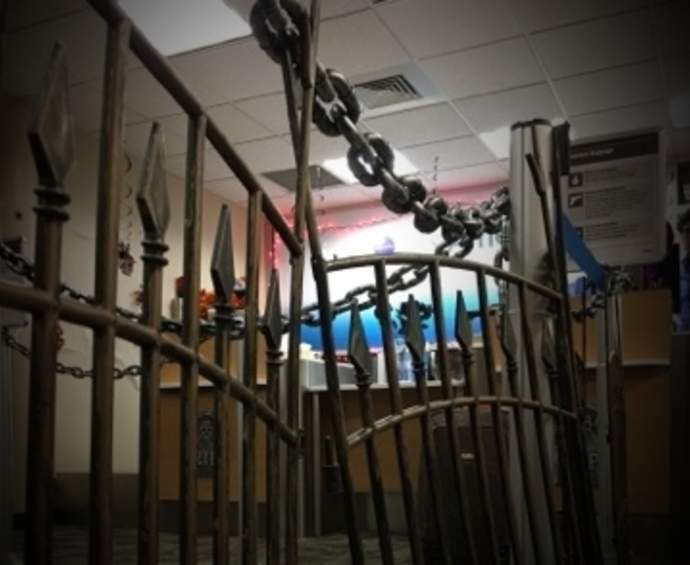 Make your way to the AA ticket counter on Halloween for a spooky fun time!